The perfect blend of sticky sweetness and booze gives this sauce a deliciously complex flavor profile. The vanilla, oak and caramel notes in the bourbon blend seamlessly with rich honey and the tangy tomato vinegar base, creating a smooth and deeply satisfying sauce. Whether you use our bold ‘cue sauces as a mop, sop, dip, or marinade, sauce with confidence. 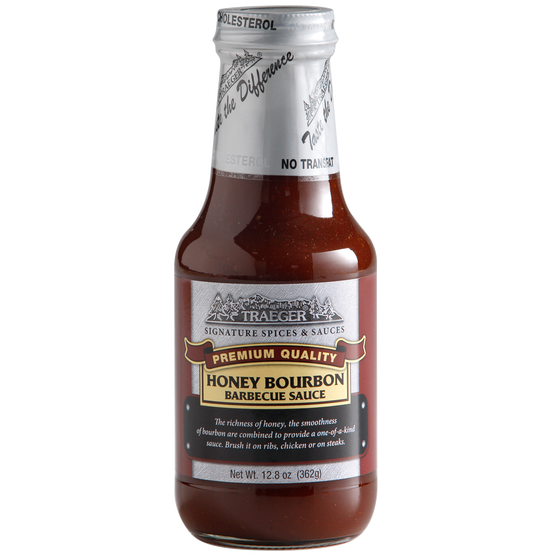 Serve it on the side and rest assured that they will always bring out the natural flavor of your hand-crafted barbecue and never overwhelm it.